Discussion in 'Price Drops, Must-Have Freebies, and Deals' started by Lavender, Jan 22, 2015. I love this one. Beta tested it a while back on Android. 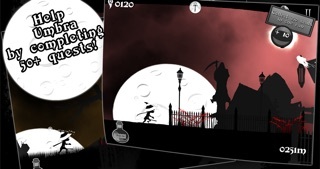 Sounds and Graphics have this awesome eerie quality to them. Get it now!! 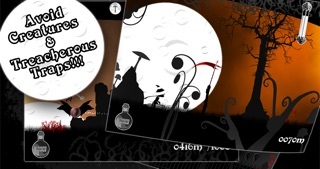 Journey into the enchanted land of Pénombre where witches, ghosts and other creatures meet in this endless runner game. When our heroine Umbra stepped out of her house to find new spells, she never thought she'll get lost in the Petit Woods. Now, all creatures she had befriended have turned on each other as Pénombre descends onto the land. 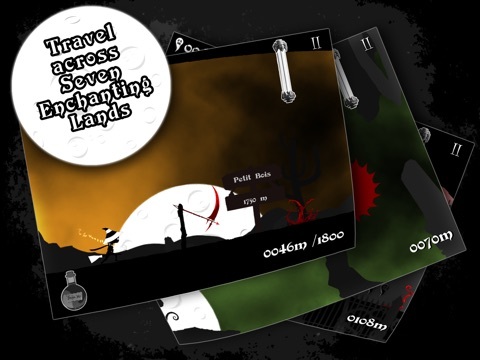 Umbra must travel across 7 kingdoms filled with treacherous traps and dangerous creatures to find her way back home. But she has many spells left in her book to help in her journey. 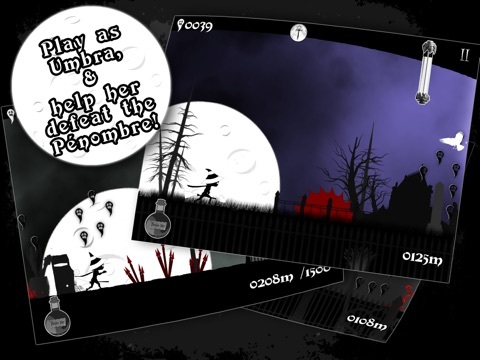 After all, she is quite a witch herself... Pénombre is an endless side-scroller that combines the visuals of genre-defining classics with the accessibility of great arcade games. 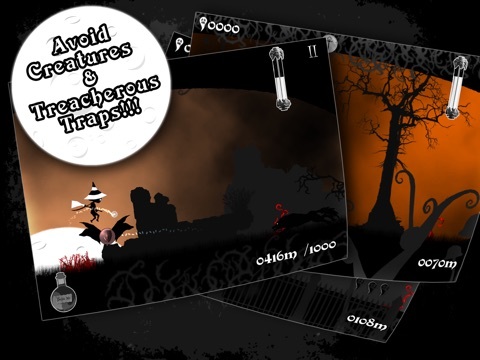 Key Features Fast-Paced Gameplay: Face traps and creatures that will continually test your reflexes. 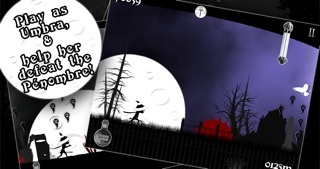 Pénombre has become a sinister environment, with darkness creeping up on you. 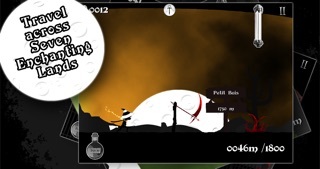 Avoid getting hurt or shadows will impair Umbra's vision, making it harder to avoid the dangerous birds and fierce creatures that populate your journey. 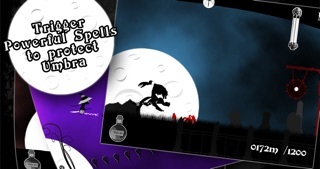 Magic Spells: Upgrade Umbra's spells and gain incredible magic powers. 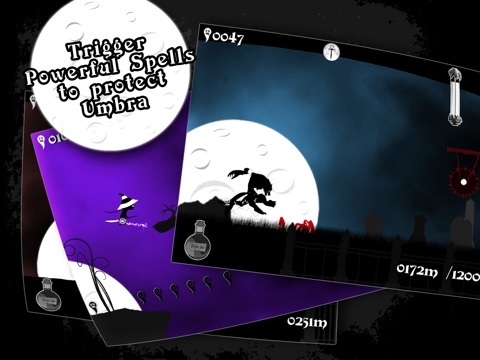 Unlock new levels and many, many quests: unlock new locations by completing previous levels, unlock special levels where Umbra can fly on her broom, and complete over 50 quests to earn even more souls. 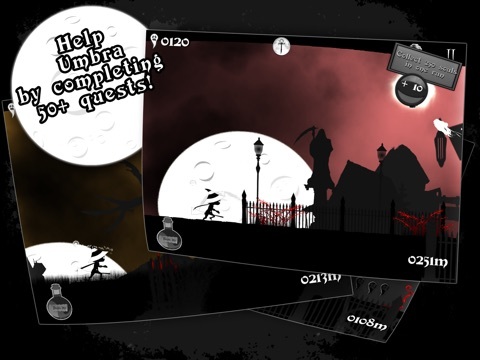 Stay alive and help Umbra get safely back home from either your iPod Touch, iPhone, Iphone 5, Iphone 6, Iphone 6+ or iPad!